Web Design City has designed and developed many websites for small to medium or corporate clients. WDC is highly capable with expert designers and developers to provide versatile web services in Sydney and Australia wide. WordPress is a free publishing platform and Content Management System that is popular among many expert web developers or beginners. The software is an open-source allowing developers to create a wide array of websites using various themes, plug-ins, widgets, etc. WordPress is widely considered user friendly and is the CMS is the choice of more than 75 million websites. With Web Design City you will get online presence of your business website, it would become easier to promote the products you offer. Why to Design your Website using WordPress? As compared to other CMS platforms like Drupal, Joomla, Expression Engine, Text Pattern, Radiant CMS, Cushy CMS, WordPress is considered to be one of the best as it is mainly focused on convenience and could be easily accessed by every user whether a beginner or an expert. Easy to use -WordPress initially used to be a blogging site, but gradually it became a CMS development platform. One can easily convert his website CMS to WordPress just by logging into the website user ID and password in the website’s control panel. WP provides an array of different options so as to make a website look and also perform better. One can also alter the menu styles and designs, set different categories, choose different tags, set image slides, add rich media contents like videos, GIFs, PPT slides etc and embed media source. At the present era, creating a website is not that tough. In order to create a website, there is no need of any sort of coding languages like, JAVA, CSS, and HTML. Most of the websites now days run on many platforms like, WordPress, Joomla etc. which helps them to make their own websites with ease. There are no sorts of complications while using these CMS based platforms. 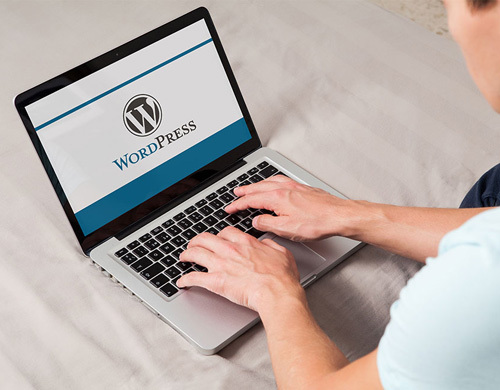 WordPress is considered to be one of the best, simple, powerful and popular CMS with user-friendly interface and tutorials. It supports various plug-ins and themes to make the website more attractive and punchier. Also, there are different tools in order to make a webpage optimised according to different search engines. WordPress Web Development Agency Sydney? Responsive Design - Responsive Web Design is a must-have feature of every websites and is a must when it comes in selecting WordPress themes as well. With the rise in the number of people viewing information on tablets and mobile phones, it is vital to use a theme that allows users to view content clearly irrespective of the device it’s viewed from. Social Sharing Features - In today’s scenario, social sharing is a must. Themes have to be flexible with the number of social networking sites like Facebook, Twitter and Pinterest. Thus the developers design the website in such a way that the social sharing is possible easily. Multiple Page Styles – It is easy to create blogs, pages of websites with different genre like – e-commerce, contact page, reviews or testimonials, blogs, etc. Auto Upgrade and Support – Allows you to automatically download all the upgrades in the webpage for easy usage and saves a lot of valuable time. Plenty of Widgets – Includes all sorts of custom and customizable widgets that all users love. Theme Customisation – With the help of pre-designed theme, an user can put together quickly and easily. But many people want to add their own creativity, making the customization part important. SEO – This is the most important feature that users won’t actually notice is Search Engine Optimization, which is built into the WordPress theme. Retina-Display Ready - With the advancement of display technology, people now prefer HD and retina displays. Thus the quality of images and visuals matters more than anything. Thus WordPress supports retina-ready options in order to boost user experience. Standards Compliant Coding - This is considered the most complicated part for many users. WordPress takes into account PHP Development, HTML, CSS, privacy and security protocols. Quality code is the basic requirement for a quality website. Effective SEO will help to drive more traffic and thus develop the online business an eCommerce Website of the client. Whenever one types a word, phrase, or question in a Search Engine and then presses “ENTER”, a listing of web results appear. These results include the query word, phrase, or question. Users generally visit the websites that appear at the top pages of the list. It is due to a powerful and sturdy web marketing method known as Website Optimisation that some websites rank higher than others. Easy in expansion, thanks to a vast library of plug-ins. Easy to take your website to a website developers. With best development, we create accessible workflow and ease your business processes. This is the best SEO friendly CMS platform. Thus with its help one can easily paste the scripts and other short codes of all the plug-ins, Google Analytics, Google Search Console into the headers and footers section of the website. There are many good plugins to boost the SEO of a websites these plugins are categorized based on its usefulness. Caching - WP Super Cache and W3 Total Cache. Subscription option - WP Subscriber Pro and Newsletter Sign-up. SEO - SEO Ultimate, SEO by Yoast and All in One SEO Pack. Analytics - Google Analytics Plugin, or Jetpack Landing Pages - Optimize Press 2.0, Landing Pages and Zedity. Social media integration - Plugins such as Floating Social Bar, The Social Links, and Ultimate Social Deux. There are two versions of the software which the WordPress mainly uses. One version of the software is hosted on cloud storage and is accessed via com. Whereas, .org is available for download into a private server or hosting. Technical and community support of the WordPress is provided by WordPress forums. Web Design City hires creative designers and developers who have years of experience in building interesting and appealing websites for companies in Sydney, NSW and rest of Australia. Our expert developers convert your Photo-Shopped Document a.k.a (PSD) into a professional website and offer layered PSD files and copyrights. Our team of creative and experts in website design and development Australia, provides best custom solutions to different companies across Sydney, NSW and other parts of Australia. We provide custom solutions and design keeping in mind the requirement of everyone. WDC design and development team provides administration to manage smooth running of your website and that too at an affordable and pocket-friendly prices. Hire our Developers and Designers to avail affordable and cheap services and get a stellar website for your company or agency.We company deal with all industries and companies in Sydney and Australia wide to cater them for designing services. If you are looking for designing your small business website, then Web Design City, is the best option for you. We have hired lots of best developers and graphic designers and developers in our company/agency who have great knowledge in website design. We have served lots of happy clients and have a long Portfolio. We will provide a complete solution and service for the effective WordPress Development of your webpages. It is the only agency in Sydney, Australia to feature after sales support with our experts on panel in the agency/company.